Choosing the wrong cloud service for customer engagement and business communications can be costly for high-growth digital businesses. Just ask someone that made the migration and then needed to bring some functions back. Bringing things back in-house means large capital expenses and a number of other costly and time-intense investments. Likewise, starting the search over for another cloud offering means a loss of time and money. But new customer engagement and business communications solutions are emerging to address these issues head on and deliver what everyone has come to expect from the cloud—unlimited scale, unmatched resiliency, broad functionality and rapid, continuous innovation. Here are five questions you must ask to ensure the cloud solution you select keeps you competitive in this age of digital disruption. * Do services scale independently, automatically? At the core of this question is how cloud contact center applications are architected. Old way. Legacy clouds are monolithic by nature which means the entire application must be scaled to support additional workloads. If demand spikes, applications and servers (or virtual machines) are manually added. This isn’t always trivial. Increasing capacity can involve significant time and expense associated with planning, designing, procuring, developing, testing, deploying and optimizing build-outs. Practically speaking, legacy clouds must be engineered for maximum peak load, across all customers, to avoid disruption in service. This can be difficult to predict and costly to deliver. It’s not uncommon for customers using legacy clouds to hit scale limitations. This simply cannot happen when it comes to servicing customers. Cloud customer engagement solutions today range from monolithic architectures to new microservice architecture—the differences vastly impact scalability, security, reliability and even the delivery of new functionality. New way.Modern clouds make scalability a concern of the past. They use a microservice architecture running atop massive public cloud infrastructures from companies such as Amazon, Google and Microsoft. Applications are made up of hundreds of individual microservices that serve different functional purposes. For example, one microservice may handle routing incoming customer calls, another video, another chat, another fax, and so on. 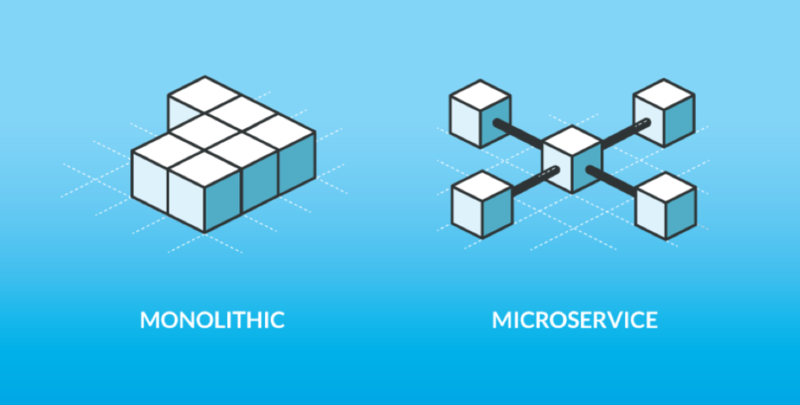 These microservices are deployed on separate computing resources with elastic load balancing and auto-scaling. As service-specific thresholds are crossed, resources are automatically added or removed. All with zero human intervention. For example, if a ticketing agency suddenly receives 100,000 calls as a result of a concert promotion, additional individual microservices and computing resources are automatically added to meet the demand without impacting operations or other tenants. After the burst is over, they’re automatically released. This means cost-effective scalability regardless of peaks and valleys in customer interaction volume. * Have you designed for failure? All technology fails. Anyone that tells you otherwise is flat out lying. The important thing to know is how cloud apps deal with failure. 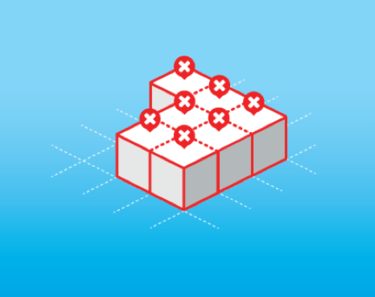 A failure in one component of a monolithic cloud architecture can impact the entire set of components. Old way. With legacy monolithic applications, a failure in one component can have a devastating impact on others, resulting in a complete service outage for many or all tenants. We’ve all experienced it. Up comes the failure message and down goes the application. The issue is exacerbated by the fact applications are deployed in proprietary data centers with hardware constraints, further limiting the availability of software resources. 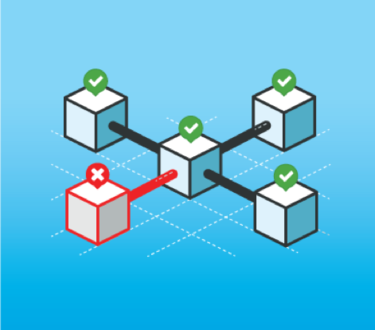 Thus, it’s not uncommon for customers using legacy clouds to run into reliability issues. Because microservice architecture rests on the “design to fail” principle, a problem with one microservice doesn’t impact another—each operates independent of another, which results in greater reliability. New way. Modern clouds are intentionally designed for failure. Microservices operate completely independent of one another. A problem with one does not impact others. This greatly limits the potential for problems. For example, three separate microservices handle chat, video and incoming customer calls. If the video microservice fails, incoming customer calls and chats continue without interruption. As well, when a microservice or computing resource fails, another is automatically spun up to minimize service impact. Many cloud providers take it a step further by using specialized tools that intentionally terminate computing resources to ensure applications survive failures and remain operational. The end result is improved reliability for a better customer experience. * What’s your release cadence? It’s no longer acceptable to plan for what’s needed six months to a year from now. The customer experience, along with the technology that enables it, needs to be a living breathing thing that is constantly evolving. Old way. Legacy cloud applications are upgraded similar to on-premises solutions. The entire application is upgraded and deployed on a regular cadence, usually quarterly or semiannually. While a new piece of functionality may be ready for prime time, it has to wait for all other changes/updates to be made and tested collectively. That means delays in accessing the latest improvements and functional enhancements. * Will users require ongoing training? Agent and supervisor training should be focused on delivering a better customer experience, not how to use contact center applications. Old way. The user interface/experience was mostly an afterthought for legacy cloud contact center solutions. Investing in highly skilled UI/UX resources was something left to consumer products from the likes of Apple, Facebook and LinkedIn. This, coupled with the multiple new capabilities and changes being rolled out all at once means lots of time focused on how to use the application rather than how to better service customers. New way. Modern enterprise clouds are design-driven. This means design occurs from the beginning, before development, using innovative visual and interaction principles. Design is disruptive and focused on delivering a better overall experience. Interfaces and experiences are compared to the best of the best, not just those in the same industry. And given that new capabilities are added on a continual basis, modern methods of alerting and educating users about new features can be employed. For example, when co-browsing is pushed into production, agents see a visual indicator showing the new feature is there. Upon hovering over the new button, a small explanation of what the feature is and how to use it appears. A link to a how-to video is included should they want to learn more. Think about it. How many training classes did you attend to learn how to use LinkedIn, Facebook or Netflix, initially or as new features were added? That’s exactly where things are headed in the contact center! Out with formal app training and in with more coaching to help agents better serve customers. * Are you in the data center business? This question was left for last because it’s directly related to a customer engagement cloud’s ability to scale, be resilient and innovate rapidly. Old way. Most cloud contact center providers are in the data center business. This means they spend significant time, money and resources managing infrastructure and operations that could be spent developing new services to improve the customer experience. This slows innovation and introduces unnecessary complexity and risk. New way. SaaS providers are starting to get out of the data center business. They believe owning and managing data centers will soon become a thing of the past—something left to Amazon, Google, Microsoft, as well as consumer-oriented companies with massive traffic and data such as Dropbox, which are spending billions of dollars annually on infrastructure. This allows SaaS providers to place all their R&D chips on application enhancements and developing new services to accelerate business impact. It’s important to note that it’s not enough to move monolithic applications to public cloud infrastructures. To truly deliver on the promise of the cloud, applications must be developed from scratch (or re-written) to take full advantage of advanced infrastructure and platform-as-a-service capabilities—similar to writing a brand new operating system with unique characteristics. Thus, be careful not to get stuck with the old stuff in the new world. You’ll be left with more of the same. Whether you’re experiencing exponential growth like a hot new startup or are a more traditional business going digital, make sure you select a cloud customer engagement and business communications solution designed for the future. Ask the right questions, and you’ll find the cloud can and will deliver what you expect—unlimited scale, unmatched resiliency, broad functionality and rapid, continuous innovation. Interactive Intelligence Group Inc. (Nasdaq: ININ) is a global leader of cloud services for customer engagement, communications and collaboration designed to help businesses worldwide improve service, increase productivity and reduce costs. The company is headquartered in Indianapolis, Indiana and has more than 2,000 employees worldwide. For more information, visit www.inin.com.